I started tying flies back around 2000. At first it was pretty much a glob of feathers and hair on a hook. As I attempted to learn more about the finer points of fly tying I thought perhaps a fly fishing show would help. Back then we had a great show that took place just outside of Boston and that was the first one I ever attended. It was there that I met Jack Gartside. I knew nothing of the man but in the time I spent in front of his table I learned a great deal. I noticed he was tying on a Regal vise, the next day I ordered one from Hunters in New Hampshire. Jack was tying his soft-hackle streamers, and talking, like a sponge I soaked up everything. I purchased several books he published and learned from them. Every show after I made a point to stop and visit with Jack. My encounters with Jack were short but I learned much. Sadly Jack has passed but I like to think he's close every time I tie or fish one of his creations. The "Sparrow"...some say it's a nymph, some say it's a wet fly, I call it a soft-hackle. Pretty effective fly for most fish. This is close to the original Gartside "Sparrow"...the first version is mine and is not quite the same. I think Jack would not object. This is the Gartside "Chicken Poop Caddis"...pretty simple fly. Hi Alan, Trout catchers for sure. I always liked Jack's use of maribou or maribou like materials. The fine fibers impart constant motion and better yet entrap "air shot". Both attributes I believe encourage trout to strike. Nice patterns Alan. John his soft hackle streamers have taken a lot of fish. All marabou and a little duck. nice pattern Alan and am sure the trout will have some of that. Great trout fly, but most game fish will take it. Jack was inventive and adventurous in life and in fly tying. Plus he was a great writer. Jim he was quite the man. He lived a very full life. Ralph I take it you have had some experience with it. Yes'sir. I tie and fish it regularly. It does very well year round. Alan, the caddis fly really intrigues me what materials are used for that fly? 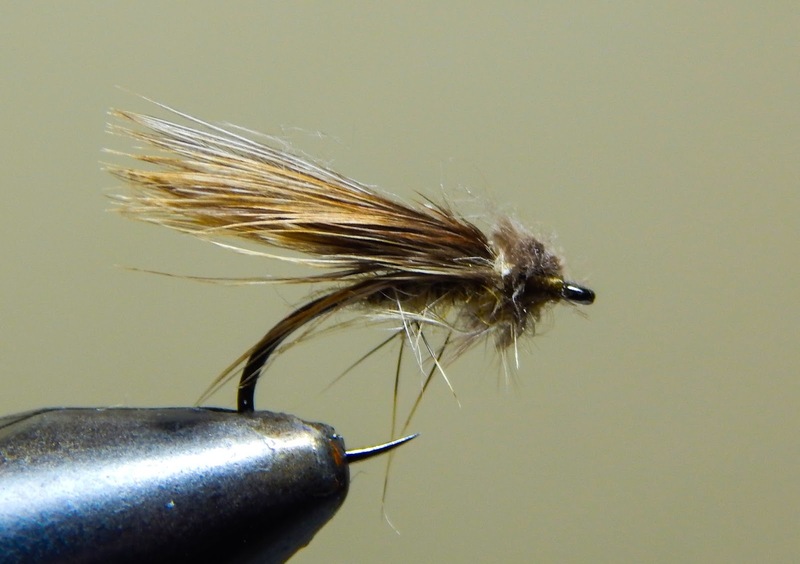 I would love to play with that fly on the yellow breeches, we have very heavy caddis hatches and I really like the profile of that fly. Thankyou. Brad in that book he list several caddis patterns. I'm sure this one would work on the Yellow Breeches. The body is squirrel dubbing, or you could just use thread. The wing is the soft hackle near the rump of a chicken. I have used pheasant rump feathers also. The photo of Jack Gartside on the giraffe float tube is probably one of the most memorable photos in all of fly fishing history. Iconic. Rowan I believe that was on the cover of Saltwater Sportsman...it was cool. Very nice flies and I like the fact you incorporate some fly fishing history into the post. Good Job! Pete I love the history that is fly fishing. It is so much a part of what we do. We must not forget. 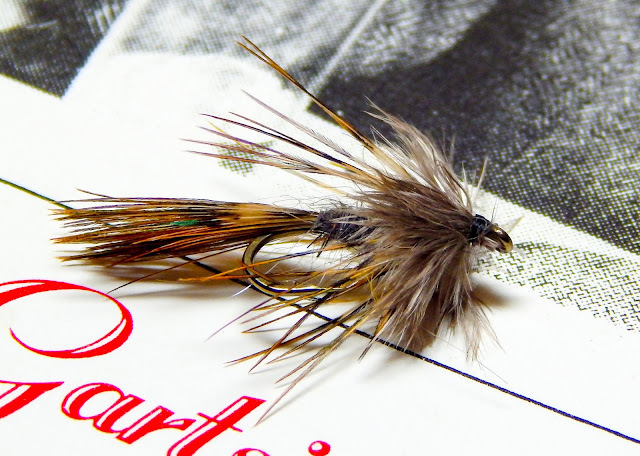 Love the Gartside flies - style and all. He is still (despite passing) a new england "icon" in the fly world. Right down to fishing Boston harbor with a kids floatie and with his vice clipped to his cab's steering wheel. Huge personality, whose impact on fly fishing and tying will last generations and beyond. Love this post Alan! Will Jack was the kind of guy many of us would like to be. He did not let the crap of everyday life interfere with what he enjoyed. He is an Icon and will remain so for all who take the time to to check him out. Alan, I was luck enough to sit with Jack at a Catskills gathering in the early 90's. The way he could look at tying with "eyes wide open" amazed me. I learned so much soft hackles and why a pheasant skin and a couple of other skins are all you need. When he talked about the pheasant skin his comment was, "just look at this, look at all you can do with it" Yes an Icon. Sad that he's gone. Kurt he had that special gift of taking what he had and turning it into what fish want to eat, much like Fran Betters. He had a passion for the ringneck pheasant and marabou. I think that was all that he would ever need. He left us to early. I only knew of Jack Gartside through you and other New England fly tyers, but I've now seen many of his flies and am blown away on how great they are. This one in particular strikes me as one that would work well out West. Jack was also well respected in the salt water fly fishing and tying crowd. Awesome flies and ways to make them work. The sparrow was developed by him out west in Montana. 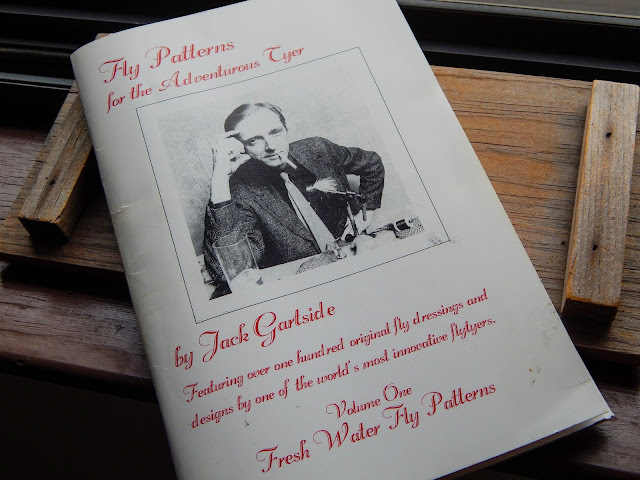 I came across Jack Gartside some years ago when I was surfing the net for soft hackle fly info. What a fascinating man. He led the fishing life that we would all dream of if we had his courage and dedication. Working so that he could fish not working so that he could live and sometimes fish. Got to admire that. Reading about the lives and fishing experiences of fly fishing icons is always interesting. Here in OZ we have people like David Scholes, John Sautelle, "Fadg" Griffiths and (my favourite) Lance Wedlick. Sadly, these fine gentlemen have all passed on but the information in their books is timeless. 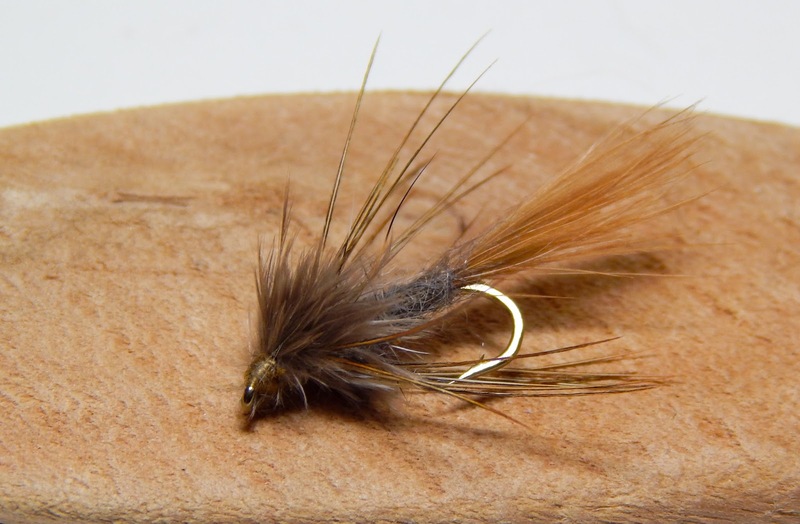 Steve Jack was a master at the soft hackle, be it trout or salt water fish. It is true what you say, they are gone but their stories will be told for many years to come.